Build-A-Bear released three new dolls in anticipation for the December 15th release of Star Wars: The Last Jedi. The three new dolls include Chewbacca bear, Phasma Bear, and a pre-stuffed Porg! 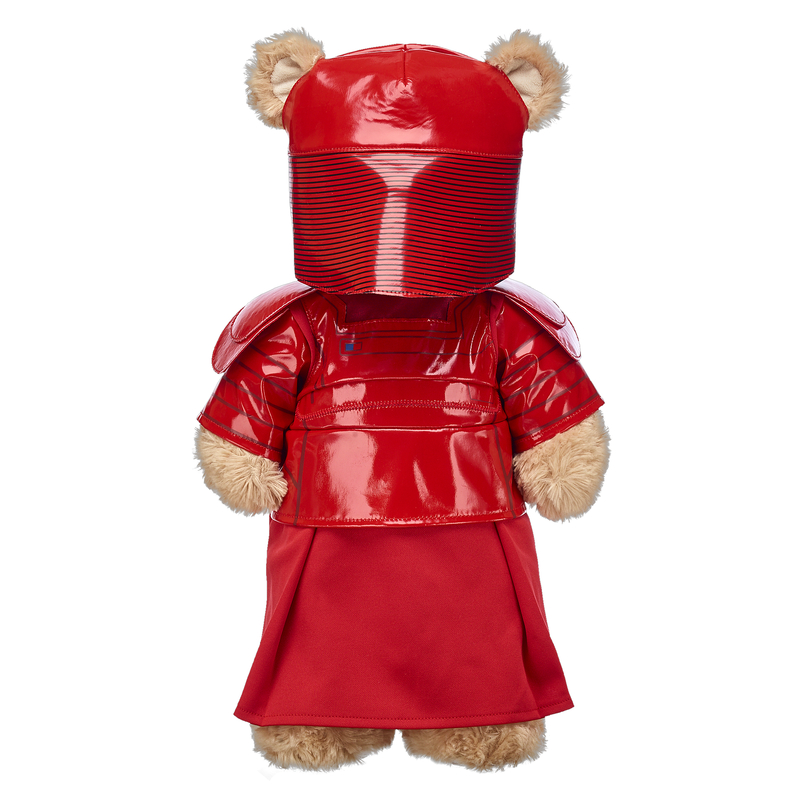 They also included a Praetorian Guard Costume for your special bear. It is available now in stores and online. The most loyal Wookiee in the universe is adorable in teddy bear form! 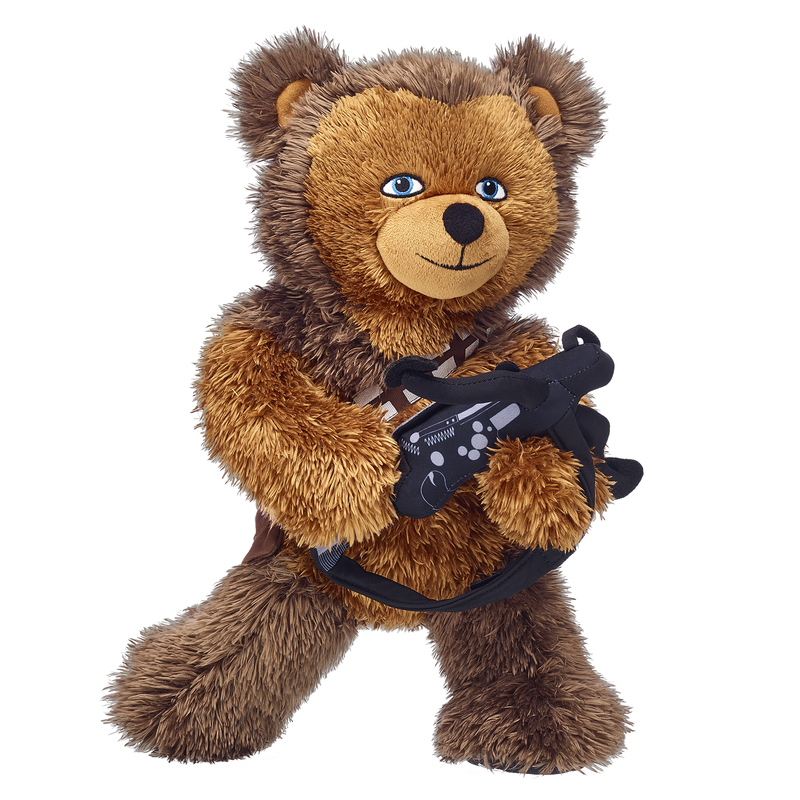 With a built-in bandolier and the Star Wars logo on his left paw pad, Chewbacca Bear can be made even more fun by adding Star Wars sounds and accessories! Get ready to lead the stormtroopers by making your own Captain Phasma Bear! 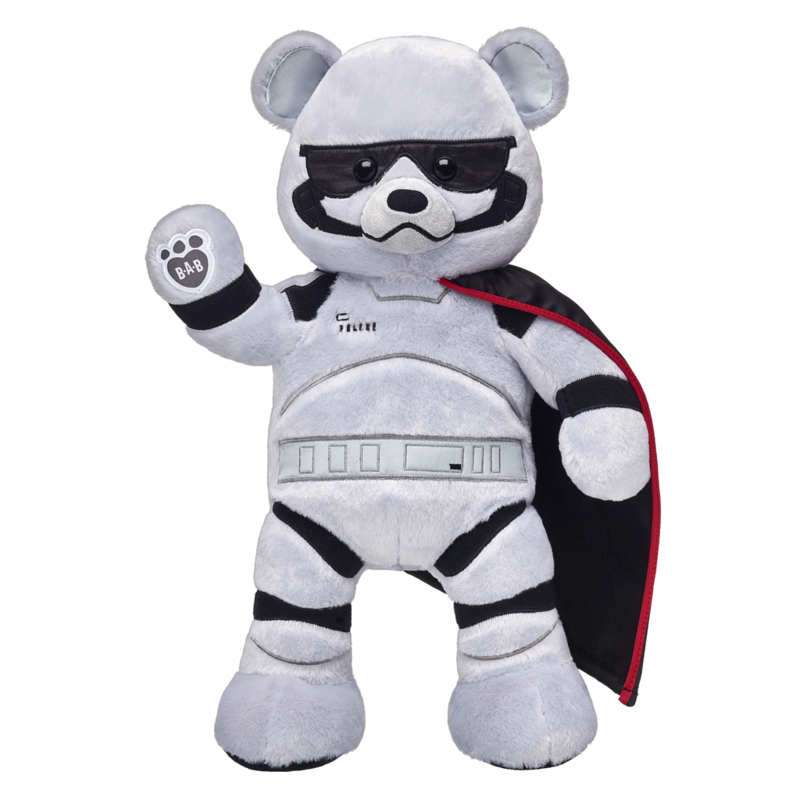 This epic furry friend features her built-in uniform and makes a perfect gift for Star Wars fans. Avians that flock about the rocks and roost in the cliffs of Luke Skywalker’s secluded island, Porgs are inquisitive creatures. 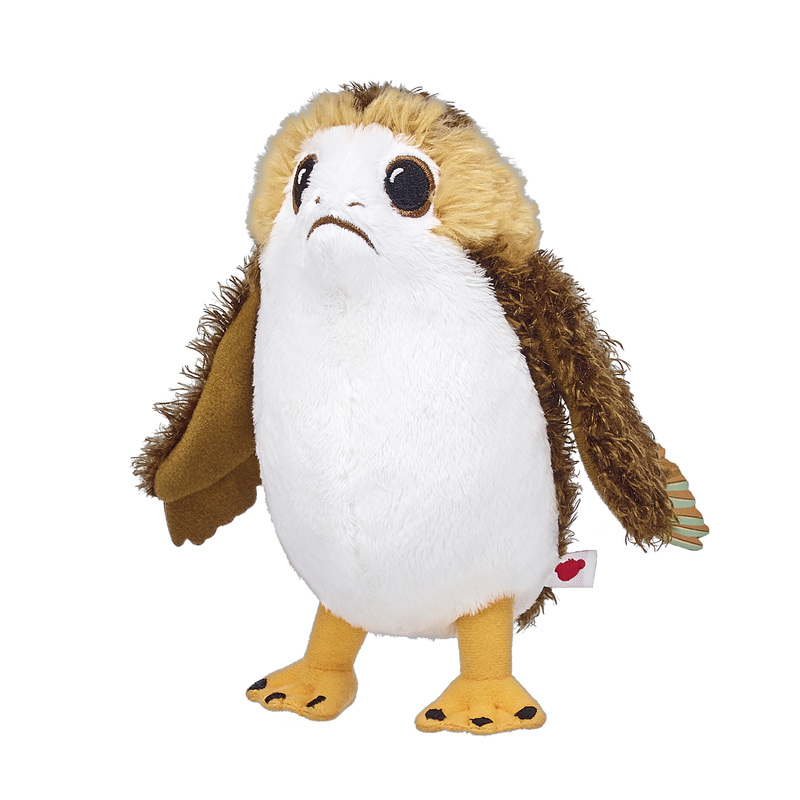 With wide eyes and furry wings, Porgs are some of the cutest creatures in the galaxy! Add this pre-stuffed furry friend to your Star Wars™ collection.